Villard did not meet Lincoln under the best of circumstances. He was working for a Democratic newspaper, the Staats-Zeitung. Although Villard himself had Republican sympathies, he had little sympathy for Lincoln, who was too pedestrian for the patrician Villard. Lincoln simply did not meet Villard’s standards of elegance and sophistication. He didn’t look the part. But over time, Villard got to know and better respect the Illinois lawyer. The two got acquainted in the late summer of 1858 when they were caught in a thunderstorm while waiting for a train to Springfield. In his memoirs, Villard recalled that he met Mr. Lincoln “accidentally, about nine o’clock on a hot, sultry evening, at a flag railroad station about twenty miles west of Springfield, on my return from a great meeting at Petersburg in Menard County. He had been driven to the station in a buggy and left there alone. I was already there. The train that we intended to take for Springfield was about due. After vainly waiting for half an hour for its arrival, a thunderstorm compelled us to take refuge in an empty freight car standing on a side track, there being no buildings of any sort at the station. We squatted down on the floor of the car and fell to talking on all sorts of subjects. It was then and there he told me that, when he was clerking in a country store, his highest political ambition was to be a member of the state Legislature. Villard, born Ferdinand Heinrich Tgustav Hilgard, was impetuous and spirited, aristocratic and ambitious. He came to America as a young and penniless immigrant. He had a talent for making well-placed and well-endowed friends – which he parlayed into extraordinary investments in the Northern Pacific railroad system. As a journalist, he had a talent for being where the action was and gaining the confidence of important generals. His friendship with William T. Sherman raised questions about the general’s mental stability – which when transmitted to a fellow journalist became a public controversy that precipitated Sherman’s departure from his Kentucky command in late 1861. Villard’s enthusiasms and sometimes outran his judgement – which in the case of humans, was often influenced by their appearance and dress. He seemed drawn to physical and financial challenges which repeatedly undermined his own health. Like many journalists, Villard was a useful conduit of information for President Lincoln. The President often received rather than distributed information to reporters who visited him. Although skeptical of Mr. Lincoln’s abilities, Villard believed in his goals. On the eve of the Civil War, noted James M. Perry in The Bohemian Brigade, “Villard wasn’t so sure he wanted to remain on Bennett’s payroll. He must have been especially outraged by Bennett’s editorial on April 10 attacking Lincoln for plunging the nation into ‘an abyss of ruin.’ The Herald called for the overthrow of Lincoln and the Republican Party.”9 But after the attack on Fort Sumter, Villard was summoned to New York to meet with publisher James Bennett. He went with Bennett to his Washington Heights home for dinner with Bennett’s son, James, Jr.
After covering the beginning of the war in the East, Villard spent most of 1862 covering the western campaign for the Tribune – and becoming an expert on Generals Buell, Grant, Rosencrans and Sherman. In November 1862, Villard came to Washington to cover the eastern campaign. As often happened when President Lincoln discovered a reporter who had more information about current military affairs than he had, he summoned that reporter to the White House – in this case the situation in Tennessee. After the Battle of Fredericksburg in December 1862, Villard snuck through Union lines and back to Washington to file his dispatch. 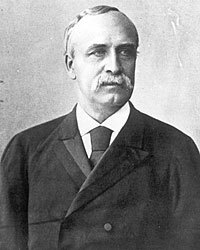 There in Willard’s Hotel, Villard encountered Massachusetts Senator Henry Wilson, who went to the White House. He returned with a request that Villard come with him to go to the White House to report to the President. “Villard never thought seriously of making a career in journalism. Deep down, he was an aspiring capitalist, and he would go on to become a very wealthy railroad tycoon. As a reporter, he did sometimes seem to side with management,” noted 20th century journalist James Perry. “If he had been a general, he once said, he would have been the first to impose strict censorship on the press. No Bohemian, Henry Villard.”15 After the Civil War, Villard became a multimillionaire, eventually assuming control of the Northern Pacific Railroad Company. The mansion he built on Madison Avenue is now a part of the Palace Hotel and home of one of New York City’s finest restaurants. Henry Villard, “Recollections of Lincoln”, Atlantic Monthly, February 1904. Henry Villard, “Memoirs of Henry Villard”, Volume I, p. 96. Henry Villard, “Recollections of Lincoln”, Atlantic Monthly, February 1904, . Alexandra Villard de Borchgrave and John Cullen, Villard: The Life and Times of an American Titan, p. 125. Henry Villard, Lincoln on the Eve of ‘61, p. 18-19. Rufus Rockwell Wilson, editor, Lincoln Among His Friends: A Sheaf of Intimate Memories, p. 254 (Henry Villard). Henry Villard, Memoirs of Henry Villard, Volume I, p. 152. James M. Perry, A Bohemian Brigade: The Civil War Correspondents, p. 53. Henry Villard, Memoirs of Henry Villard, Volume I, 1835-1862, p. 162. Henry Villard, Memoirs of Henry Villard, Volume I, 1835-1862, p. 169-170. Henry Villard, Memoirs of Henry Villard, Volume I, 1835-1862, p. 340. Alexandra Villard de Borchgrave and John Cullen, Villard: The Life and Times of an American Titan, p. 2-6. Henry Villard, Memoirs of Henry Villard, Volume I, 1835-1862, p. 390-391. James M. Perry, A Bohemian Brigade: The Civil War Correspondents, p. 205.